Nottingham Trent University is delighted to announce its unique partnership with Cerebral Palsy Sport for the Cerebral Palsy International Sports and Recreation Association (CPISRA) 2015 World Games. The Games will be taking place in Nottingham between 6-16 August 2015 and participants from as far afield as Australia, Brazil and Ghana will be arriving to take part in the international competition, which is held every four years. The event includes athletics, with racerunner, which is running on a bike, bowls, the first-ever under-19 football championship and swimming. In addition, there will also be two demonstration sports competitions including table cricket, which was originally created by Nottingham Trent University’s Doug Williamson, and Para Taekwondo. 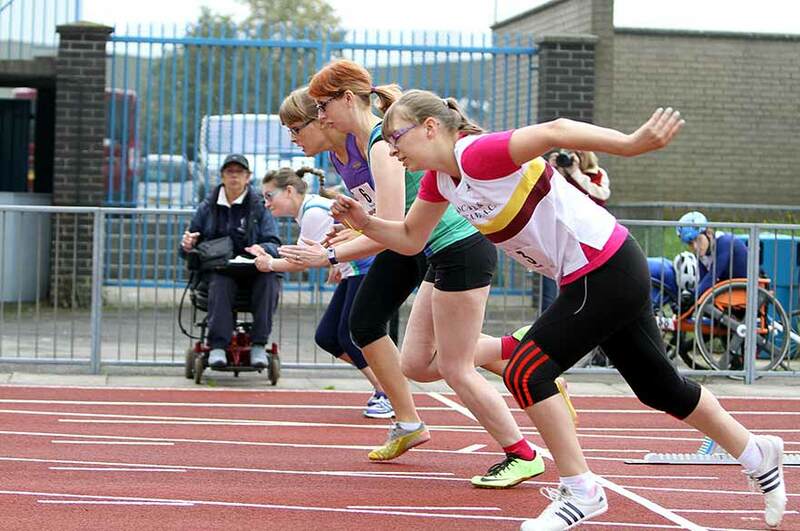 On Thursday 30 April, Vice-Chancellor, Professor Edward Peck, will welcome Richard Harwood, Vice President of CPISRA and Chairman of Nottingham 2015 Local Organising Committee, and Alison Talbot, Chief Executive, Cerebral Palsy Sport and Event Director of the CPISRA 2015 World Games, to the University. Nottingham Trent University’s City Campus will be transformed into the Games Athletes Village for the World Games, providing a base, accommodation and catering facilities for competitors, organisers and officials in the state-of-the-art facilities. In addition, the Clifton Campus, which is currently undergoing a multi-million pound transformation, will provide accommodation for the family and friends of competitors. The Volunteer Village, which will be providing accommodation and catering for the 250 volunteers, will also be based there. Professor Peck said: "We are delighted to be working with Cerebral Palsy Sport as the Recreational Partner for the CPISRA 2015 World Games, which are being held in Nottingham this year. "We are looking forward to welcoming competitors, coaches, organisers and officials, along with friends and family and volunteers from around the world, to Nottingham. We will be showcasing the wonderful facilities we have at the University, which we hope will contribute towards making the event a truly marvellous experience for everyone involved. "We have transformed our City Campus in recent years following a major investment in our estate which has culminated in the world-class facilities we have today. Our Clifton campus, too, will provide the Volunteer Village and offer excellent facilities for all of the volunteers and family and friends. "The University is also sponsoring the Spirit of the Games trophies and the Games Athletes Village will be the venue for the presentation of medals, so it will be an exciting time in the University’s calendar this summer." Mr Harwood added: "We are delighted to announce our partnership with Nottingham Trent University as a Nottingham 2015 Games Partner for the CPISRA World Games in August. "This is the first time since 2001 that the World Games have been held in Nottingham and we are looking forward to welcoming the world to the city. Our partnership with the University and their Accommodation Services Team will help us to provide a memorable Games experience for all our competitors, team members, officials, volunteers and visitors." To date, 329 competitors and 132 team coaches from 18 countries across the world are due to arrive in Nottingham in August along with hundreds of officials, volunteers and friends and family. The opening ceremony will be held on 9 August 2015 at Harvey Hadden Sports Complex and the closing ceremony will take place at the same venue on 15 August 2015. A £350m investment has been made into regenerating Nottingham Trent University, which includes a £60 million Students' Union facility and residence at its city centre site. Cerebral Palsy (CP) Sport is the country’s leading national disability sports organisation supporting people with cerebral palsy reach their sporting potential. Their vision is that everyone with physical disabilities is able to access a sport of their choice. Their mission is to improve the quality of life for people with physical impairments through the provision of appropriate sport and recreational activities. The Harvey Hadden Sports Complex is the primary games competition venue. The site has recently undergone a £16 million redevelopment, with funding from Nottingham City Council and Sport England.